Ponant has been long recognised as one of the world’s leading expedition companies. For many years now, Ponant has consistently delivered exceptional adventures in some of the most remote corners of the globe. Now is your opportunity to experience an expedition of an international standard both ashore and on board-right here Australia’s mighty Kimberley. The Kimberley is an ancient land built on 1.8 billion year old sandstone that has been uplifted, contorted and eroded to form spectacular gorges, desolate mountains and magnificent waterfalls. Here is a living indigenous culture dating back more than 40,000 years, and Australia’s oldest rock art galleries contained within the rocky outcrops. The isolated coastline boasts more than 2,633 islands, extensive mangrove forests, wild rivers and important seabird breeding colonies. It is a national biodiversity hotspot listed in the top 3.7% of least impacted marine environments worldwide. Set sail for the wild and magnificent landscapes of Kimberley, following Ponant’s comprehensive itinerary. From Darwin to Broome or reversed, embark aboard brand new Le Laperouse (2019) for an 11-day expedition cruise. At 424,517 KM SQ The Kimberley is twice the size of Victoria and one of the last unspoiled regions on the planet. Yet just ocean, or 1 unsealed min road to explore the region. Le Laperouseus will also take you as far as the Buccaneer Archipelago, whose coast is one of the most spectacular in the entire region. Le Lapérouse will be the first cruise ship on Earth to be equipped with a multi-sensory underwater space, called Blue Eye. Le Champlain, Le Bougainville and Le Dumont-d’Urville will be the next. The design of this technical prowess was entrusted to architect Jacques Rougerie, who is deeply passionate about the sea. Rougerie’s mission is to enable PONANT guests to perceive and feel the underwater universe that has never ceased to amaze and inspire him during his career through three innovative concepts. The Blue Eye lounge space’s graphical references evoke cetaceans and jellyfish. This inspiration is evident in the lines of the lounge, the furniture and the fittings. All focus is drawn towards the two portholes, shaped like the eye of a cetacean looking out upon the subaquatic world. The lighting in the lounge is developed through subtly, disseminated in the space, allowing the spirit and the eye to wonder at the spectacle unfolding outside. The mural décor disappears to make way for the integrated digital screens projecting the images filmed live by three underwater cameras. Placed at the ship’s strategic points, these cameras enable guests to witness, for example, the spectacle of dolphins playing in the bow waves. The sound staging has been entrusted to Michel Redolfi, a contemporary music composer and sound design expert. A result of his research into subaquatic music and his own inventions, the sound design of the underwater lounge develops state-of-the-art technology and offers guests an experience in acoustic immersion that is unique in the world. An immersive sound experience can be felt in the Body Listening sofas, which discreetly vibrate in unison while offering unique sensory listening through corporal resonance. This global listening through the entire body, in harmony with the ocean’s natural cycles, will bring guests closer to the marine mammals they might see and hear behind the giant portholes. The non-intrusive underwater projectors developed expressly for the PONANT EXPLORERS enable the observation of the seabed and photo-luminescent organisms from the Blue Eye lounge as well as from the outside decks, balconies and the marina-without any risk to the marine biosphere. Join Ponant’s highly qualified local expedition team led by highly acclaimed expedition veteran Mick Fogg having led over 120 expeditions through the Kimberley. Prices are indicators based on early booking bonus savings. Savings levels decrease incrementally in line with inventory diminishing – Book Early. 5 m² with a private balcony of 6 m² for people with reduced mobility. 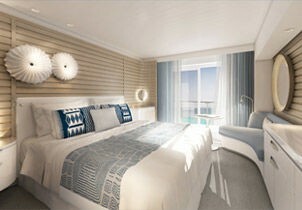 Built and launched in 2018, Le Laperouse features innovative and environmentally-friendly equipment, elegantly designed staterooms complimented by spacious lounge areas that open onto the outside balcony – this brand new state of the art yacht boasting just 92 staterooms and suites will offer you a truly unique expedition cruise experience. Here you will find a special ambiance, PONANT’s signature: a feeling that you are on board your own yacht. Most-often all in the Kimberley-days will feature lectures and discussions in the theatre highlighting the sights and experiences being enjoyed ashore. Outside of thse times, relax by the pool and let the scenery come to you or enjoy one of the ships many public rooms or lounge areas. L’Austral really has been designed to meet the needs of every guest. Spacious and comfortable cabins, nearly all with private balconies, allow you to also enjoy peace and solitude and yet not miss a moment of what’s passing you by. Roooms are designed and furnished to the highest calibre and is complimented by 24 hr room service. Your time is your own to do as you please. There is a spa and gym on board fitted with the latest equipment (Kinesis Wall, running machine) and in partnership with the famous Sothys™ brand, the Beauty Centre on L’Austral welcomes you for some unforgettable moments of relaxation and pampering (beauty treatments, hairdresser, hammam, balneotherapy). Click here to view all Ponant Cruise itineraries.